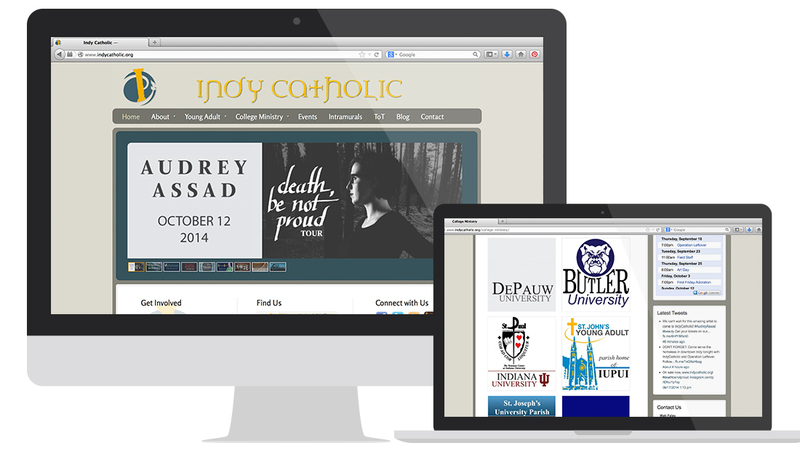 St. John’s Catholic Church in Indianapolis reached out to us about a new brand and website. They loved what we came up with so much, that their major youth ministry network reached out for the same thing. After serving both clients and receiving a very positive response, we were then given another opportunity! We were asked by the Archdiocese of Indianapolis, the Archdiocese over all Catholic parishes in the area, to create a complicated back-end site for pastors of various churches to login to. Our team took a different approach for each project. 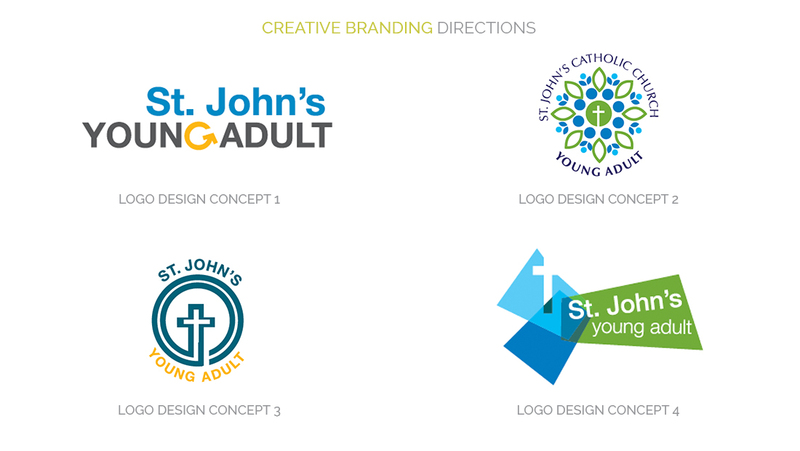 Whereas the Archdiocese project was very technical in nature and involved a lot of problem-solving, the youth ministry needed thoughtfulness in the areas of design and social media integration. 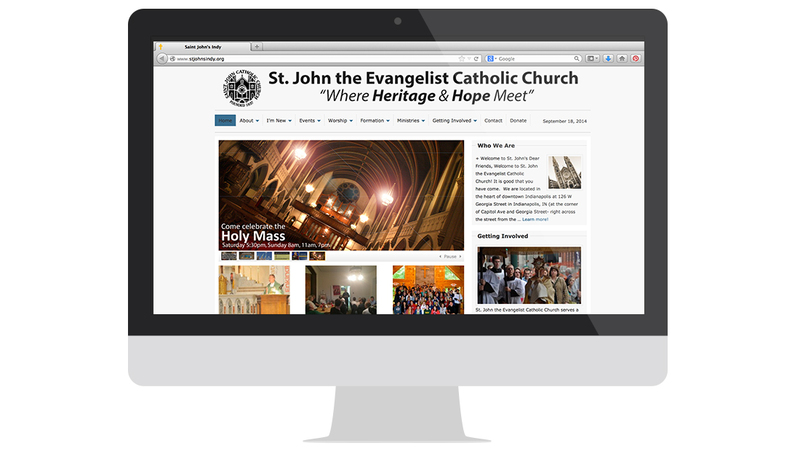 St. John’s Catholic Church needed an image-based site to showcase their beautiful venue and numerous events. All sites were not only built with best practice and on a solid platform, but were provided with content management systems and the integration of SEO tools, which we trained them to manage themselves moving forward.